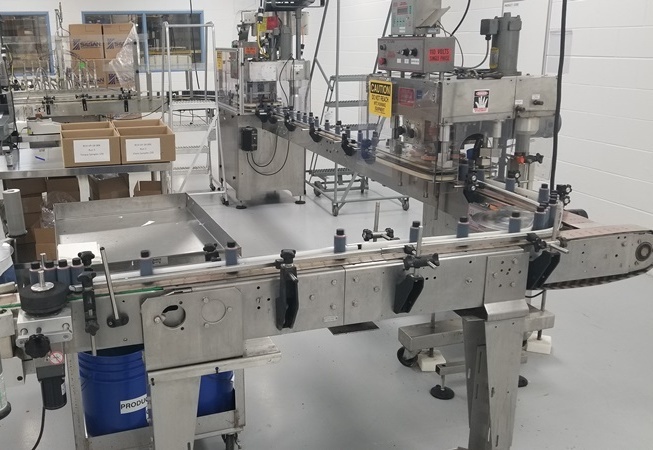 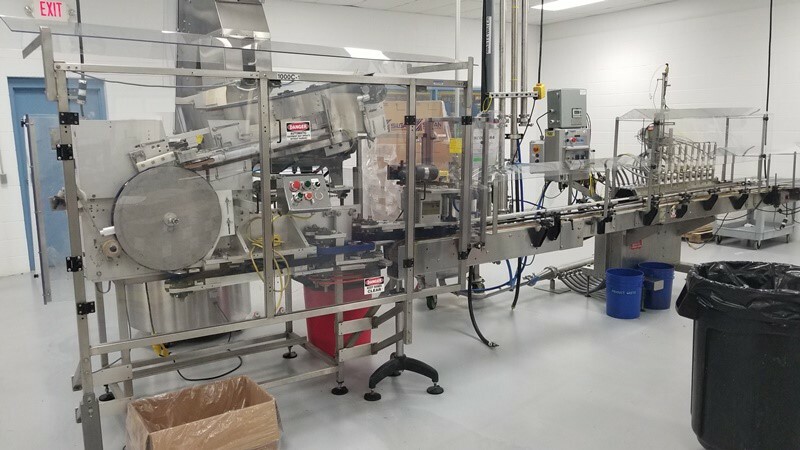 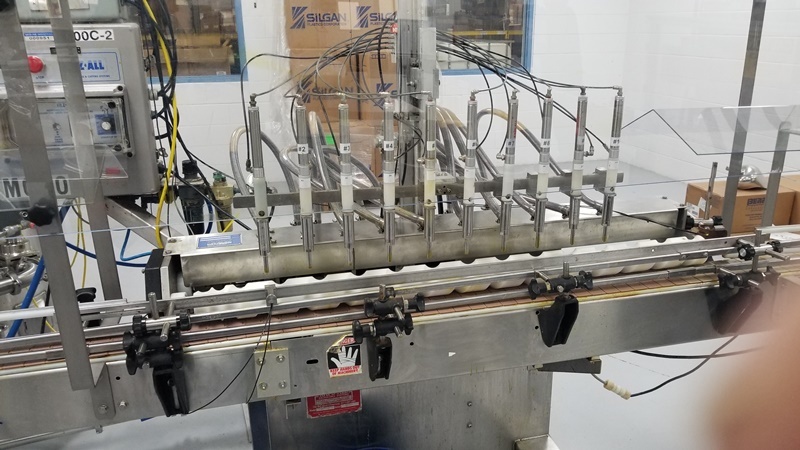 Used Liquid and Cream Filling Line: Consisting of a New England Bottle Unscrambler, KapsAll 10 Head Liquid Filler, Fills-All with 8 OZ pistons with non-drip nozzles, KapsAll 6 Spindle Capper with double gripper belts, KapsAll 4 Spindle Retorquer, CVC Front and Back Labeler with top hold down belt, Stainless Steel 48” Diameter Accumulating Table and connecting conveyor with (2) 90 degree spin plates to make the line shape of a horseshoe to improve on space requirements. 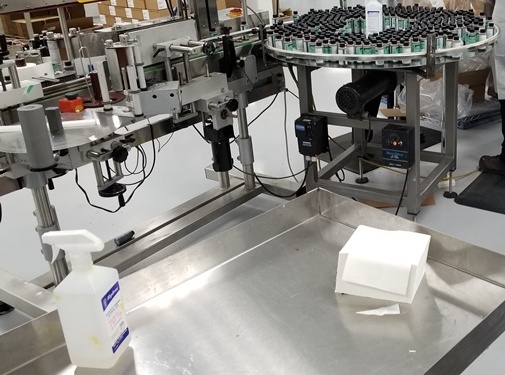 Line is complete with all indexing & spare parts needed to do 2 oz, 4 oz, 8 oz, & 16 oz liquids, creams and an iodine solution which is what was run on this line with speeds of 40-120 BPM depending on products. 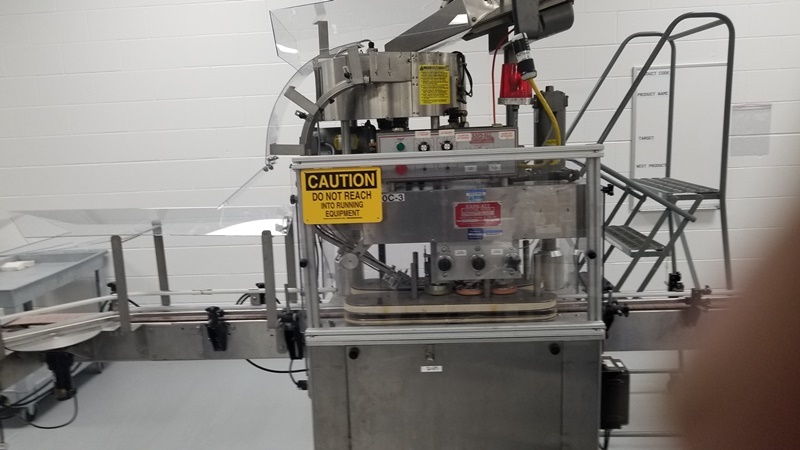 Delivery Time: approx 2 weeks.